Despite scoring 180 in Australia’s last Test, opener Joe Burns yesterday had his Ashes hopes dented as he was denied a Cricket Australia contract and overlooked for the Australia A tour of England. It shows he’s clearly behind Marcus Harris in the Test pecking order. Harris, who laboured in Australia’s last Test series against Sri Lanka while Burns shone, was granted both a central contract and included in the A squad. 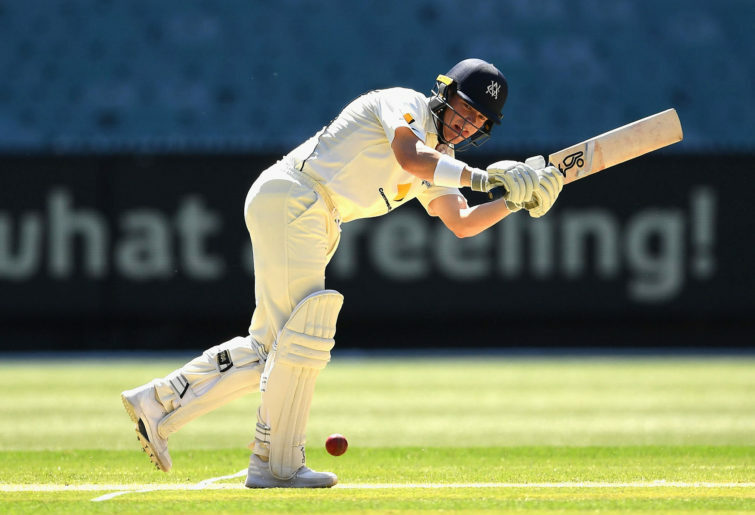 The 26-year-old Victorian is now the clear front runner to open the batting with returning star David Warner in the first Ashes Test on August 1. Harris showed generous promise in his debut Test series this summer, consistently blunting the new ball against India’s powerful pace attack. He failed to build on that in his second series against the labouring Sri Lankans. But Harris then returned to the Sheffield Shield and completed one of the finest campaigns by a batsman in that competition in the past decade. The left-hander finished with an incredible 1188 runs at 70, including a match-winning 141 in the low-scoring final. Combined with his reasonably solid start to his Test career, Harris would be a worthy selection in the Ashes. But few Australian cricketers in the past decade have had harsher treatment from the selectors than Burns. It is remarkable that an opener who averages 40 after 16 Tests, with four tons already to his name, would be dumped immediately after scoring 180. Further evidence that Burns is on the outer is the fact Harris is the only specialist opener in the Australia A first-class squad. Either Kurtis Patterson or Will Pucovski will need to play as a makeshift opener in the three first-class matches in England in July. Chairman of selectors Trevor Hohns said his panel would monitor the performances of Burns in county cricket, with the Queenslander scheduled to soon start playing first-class matches for Lancashire. Surely, though, if Burns was in strong contention for the Ashes, Australia A would have him in their XI instead of using a makeshift opener in a country where facing the new ball is a seriously tough task. Test incumbent Marnus Labuschagne also missed out on the A squad, after a poor start to his Test career and a shocking Shield season. 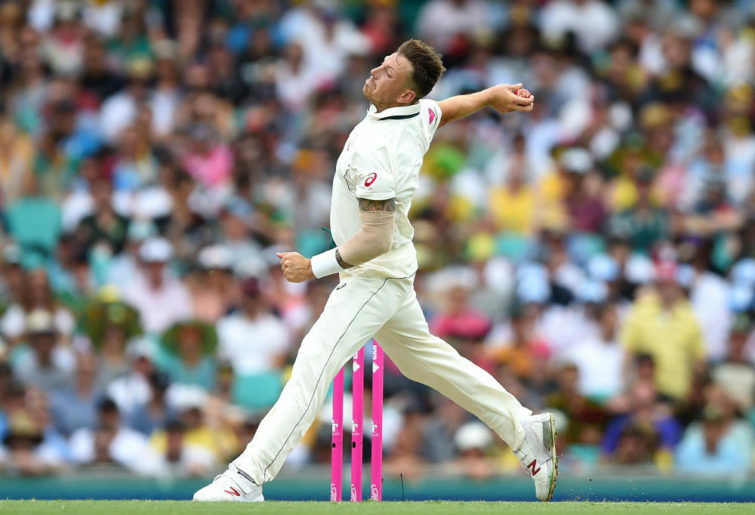 The squad contains fellow Test incumbents Patterson, Tim Paine and Travis Head, as well as Test veteran Josh Hazlewood, who missed out on the World Cup squad as he returns from a serious back injury. The other quicks in the squad are Michael Neser, James Pattinson, Jackson Bird and Chris Tremain. Pattinson’s inclusion on the CA contract list, despite not having played for Australia in more than three years, is a strong sign that he is in line to play in the Ashes. The fiery Victorian long ago convinced the selectors he is international standard. Unfortunately for Burns, he just can’t seem to leave the same impression. Cricket Australia central contract list: Pat Cummins, Nathan Coulter-Nile, Alex Carey, Aaron Finch, Usman Khawaja, Peter Handscomb, Marcus Harris, Travis Head, Josh Hazlewood, Nathan Lyon, Glenn Maxwell, Shaun Marsh, Tim Paine, James Pattinson, Jhye Richardson, Steve Smith, Mitchell Starc, Marcus Stoinis, David Warner, Adam Zampa.